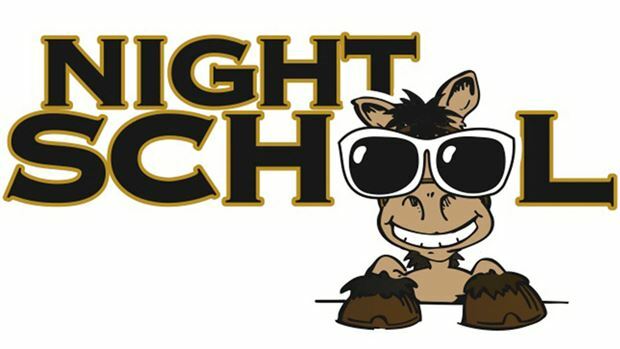 Night School, the racing industry’s national online fan education program since 2011, teaches a real-time lesson this evening focused on interpreting “Class/Conditions” of races. The Week 17 session kicks off at 8:30 p.m. ET. The 90-minute interactive chat will include free BRIS past performances and streaming video for live racing action conducted at Mountaineer Park. Night School instructors will work with students in evaluating the conditions of each live race presented and the relative class of each horse in comparison with one another and the races presented. The live racing aspect of Night School is new to the recently launched “Summer Semester,” which began earlier this month and received an 87-percent favorable rating from the class. The 12-week Summer Semester continues through the end of August, while Night School’s radio simulcasts will return after Labor Day for the 14-week Fall Semester. Horse Player NOW and Night School founder Jeremy Plonk hosts tonight’s lesson and will be joined by “The Dean” Jerry Shottenkirk, oddsmaker and racing analyst for Remington Park and Horse Player NOW. The free Night School program is offered online each Tuesday, beginning at 8:30 p.m. ET and runs 40 consecutive weeks through Dec. 2. More than 40 websites in the Thoroughbred, American Quarter Horse and Standardbred industries simultaneously offer the Night School lessons. Title sponsors for 2014 include charter members National Thoroughbred Racing Association and American Quarter Horse Association, as well as Keeneland Select, The Stronach Group, Twinspires, BRIS, Bet America, Mountaineer Park and Woobine Entertainment. The 2014 Night School season is broken into three semesters. The Spring Semester ran 14 weeks, from March 4 until Belmont Stakes Week on June 3. A corresponding Fall Semester will be offered Sept. 2 through Dec. 2. Both the Spring and Fall semesters will feature a minimum of 11 SiriusXM simulcasts, in addition to select, major racing event live handicapping chats between the fans and experts. Night School is free and voluntary with no registration necessary. Simply visit any of the Night School syndicate websites weekly at 8:30 pm ET to take in the live lesson, or access the archives at any of those same sites at your leisure. The program does offer a voluntary registration both live or in the archives. Attendees who register in at least half (20) of the season’s lessons are eligible to win prizes that include merchandise, NHC Tour memberships, handicapping contests, free handicapping products, etc. Night School has added “Woodbine Wednesdays” to the weekly tutorial offerings. The full-card live chats teach racing in real time and spotlight the entire, 8-race cards each Wednesday night, beginning at 6:15 p.m. ET – also with free BRIS past performances each week.